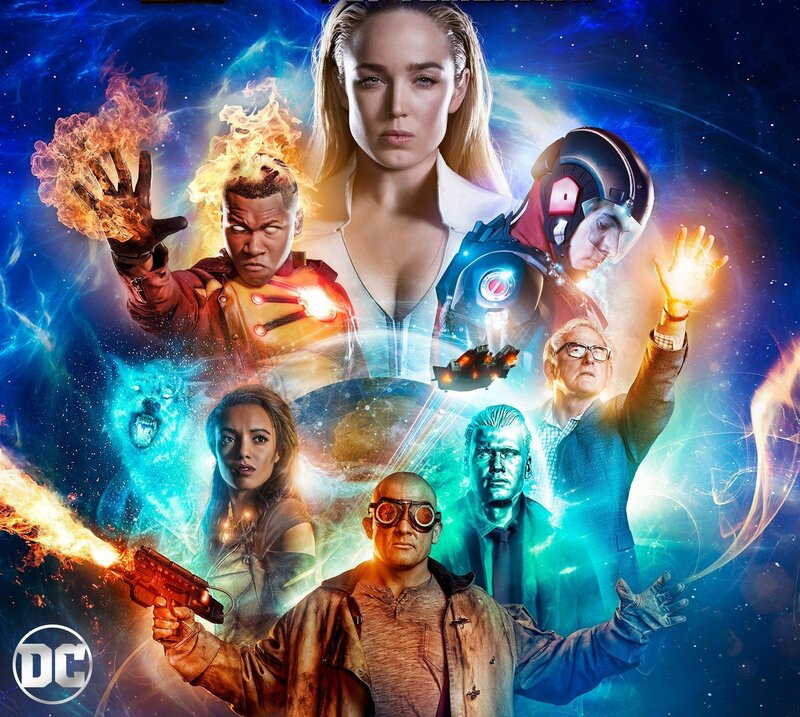 It’s been almost two months since the small-screen superhero team-up show ended its third season run, and while fans will have to wait until later in the year for them to return, the third season of DC’s Legends of Tomorrow will hit shelves on Blu-Ray and DVD on September 25. RELATED: Supergirl Season 3 Blu-ray and DVD Details Announced! After the defeat of Eobard Thawne and his equally nefarious Legion of Doom, the Legends face a new threat created by their actions at the end of last season. In revisiting a moment in time that they had already participated in, they have essentially fractured the timeline and created anachronisms – a scattering of people, animals, and objects all across time! Our team must find a way to return all the anachronisms to their original timelines before the time stream falls apart. But before our Legends can jump back into action, Rip Hunter and his newly established Time Bureau call their methods into question. With the Time Bureau effectively the new sheriffs in town, the Legends disband – until Mick Rory discovers one of them in the middle of his well-deserved vacation in Aruba. Seeing this as an opportunity to continue their time traveling heroics, Sara wastes no time in getting the Legends back together. We reunite with billionaire inventor Ray Palmer, the unconventional historian-turned-superhero Nate Heywood, and Professor Martin Stein and Jefferson “Jax” Jackson , who together form the meta-human Firestorm. Once reunited, the Legends will challenge the Time Bureau’s authority over the timeline and insist that however messy their methods may be, some problems are beyond the Bureau’s capabilities. Some problems can only be fixed by Legends. 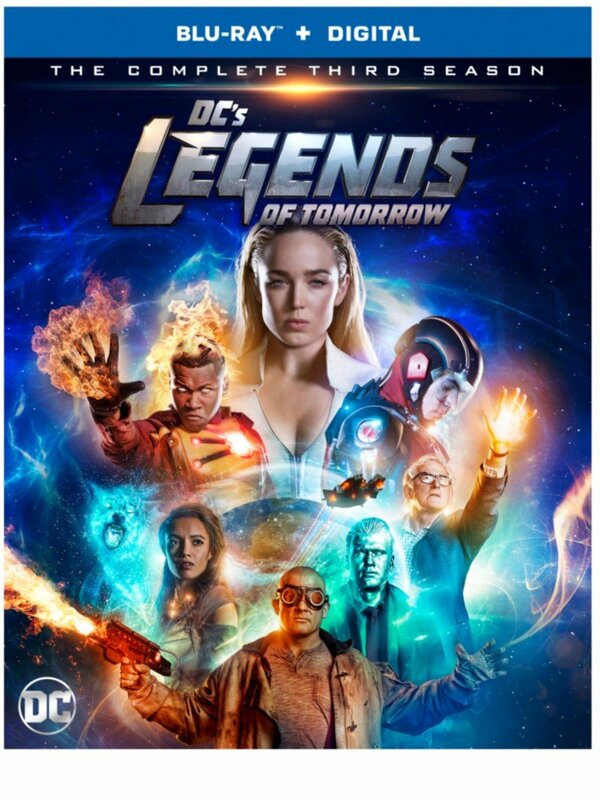 DC’s Legends of Tomorrow: The Complete Third Season will go for $29.99 for the DVD edition and $39.99 for the Blu-Ray edition, and is currently available to own through digital retailers including iTunes, Amazon Prime Video, PlayStation, Vudu, Xbox and others. DC’s Legends of Tomorrow stars Arthur Darvill as Rip Hunter, Brandon Routh as Ray Palmer/The ATOM, Caity Lotz as Sara Lance/White Canary, Victor Garber and Franz Drameh as Professor Martin Stein & Jefferson “Jax” Jackson/Firestorm, Dominic Purcell as Mick Rory/Heat Wave, and Nick Zano as Dr. Nate Heywood/Steel. Based on the characters from DC, DC’s Legends of Tomorrow is from Bonanza Productions Inc. in association with Berlanti Productions and Warner Bros. Television, with executive producers Greg Berlanti, Marc Guggenheim, Andrew Kreisberg, Phil Klemmer and Sarah Schechter.